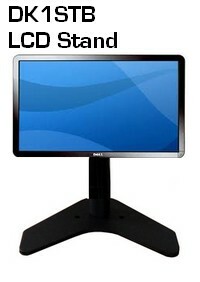 Securely use your monitor on any desk, allowing the flat panel to rotate 360 degrees with this sturdy all-metal LCD VESA desk stand. 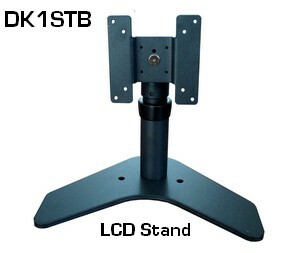 * Sit or stand: the screeen can tilt up 45 degrees, so the screen can be viewed in standing position when the stand is placed on a desk. 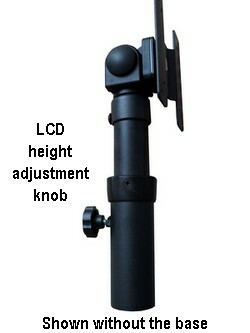 * Attach an IPAD? 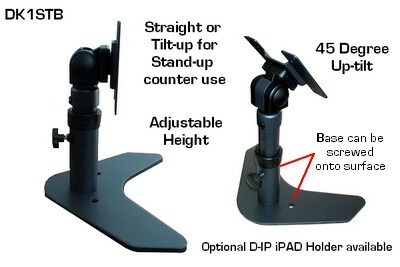 Check out our optional D-IP IPAD bracket. 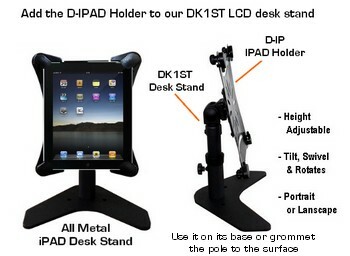 You can buy both, DK1st + IPAD holder it at a great combo discount here: DK1ST-IP . 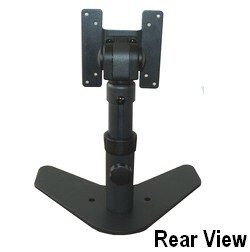 - Easy Torque adjustability, for smoother or stiffer operation. 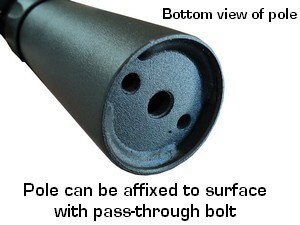 - Intallation options: on its stand or bolted onto the surface. 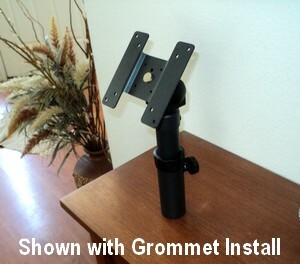 You can also screw the base onto a table, with 2 screws through the base's holes. 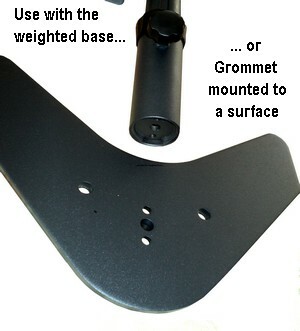 The weighted base alone is sturdy enough.